Over the years I’ve gone back and forth between clipless pedals and flat pedals. While some proclaim that clipless are the BEST in terms of efficiency, I would argue it depends on what your definition of efficiency is. If its to purely go fast and extract marginal gains in your pedal stroke, then sure. But if you’re definition of efficiency is not having to carry two pairs of shoes on tour just to walk around, or to be able to potentially do a long hike-a-bike, then the case of efficiency for a clipless pedal goes out the window. 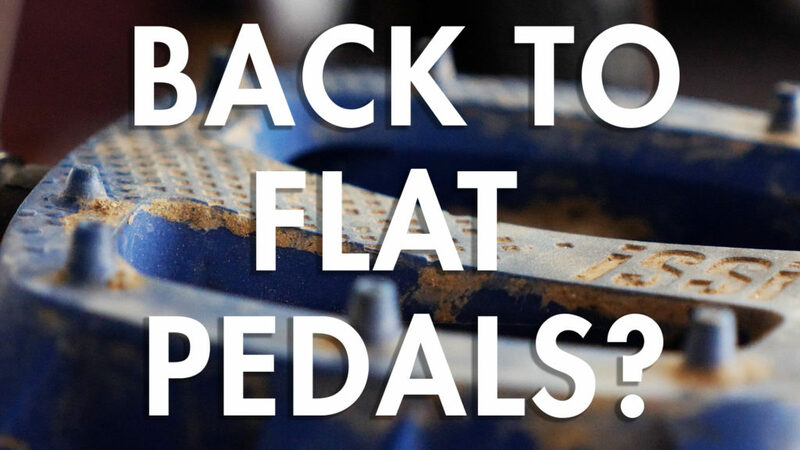 In this video, I give reasons why we tour on flat pedals as well as review the new iSSi Thump pedals which are a pretty good composite flat we like. Clipless—flats—flats with clips and straps. I’ve tried them all and I prefer—flats with clips and straps. Just the right amount of connected to the bike without being too connected to the bike. You don’t need special shoes. I ride with stiff soled hikng shoes. Converted to strictly flat pedals a few years ago. Versatile and easier to maintain. Personal preference, but it’s not for everyone. Kind of reminds me of helmet wars – to each his own. i could not agree more…on both points. I converted to flats and less than a month later I had a horrible fall. I remember standing up to pedal and nothing more. After a few months of recovery, I have overcome the most pernicious injury: anxiety to ride. Once back on, I realized I did not have the grip on the pedals I’d used for thirty years. I am convinced that I simply slipped off the pedal that day. Definitely depends on the shoe and pedal combo for best retention. Check out the Catalyst pedal. It takes flats to a whole ‘nother Level. I’ve ridden clipless since they were invented and now that I have these, I’m not going back. Clipless is better for sprinting, racing, and maybe gnarly washboard, but the power and efficiency of the Catalyst in other situations is not to be underestimated.